Add a chocolate wrap or scrub! 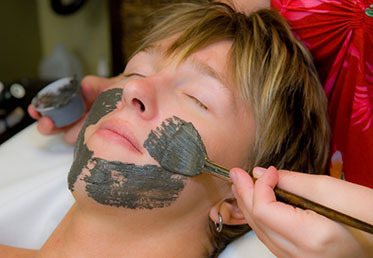 This tasty facial is a great treat for the senses and the skin. Using organic Eminence products with cocoa and coconut your aesthetician will cleanse, exfoliate, and hydrate your face with natural products containing cocoa. Cocoa is very high in antioxidants and has a high therapeutic value. Add a Chocolate Scrub, Wrap, and Massage for an unforgettable Chocolate Experience! New clients get $40 off above prices. Read about new client discounts. Member Prices: 50 min | 60 min $69 | 90 min $109 Read about spa membership.